Antique silver and gold brooch. Product code: 654 Categories: Sold Items, Sold Jewellery. This brooch is what makes antique jewellery so exciting! 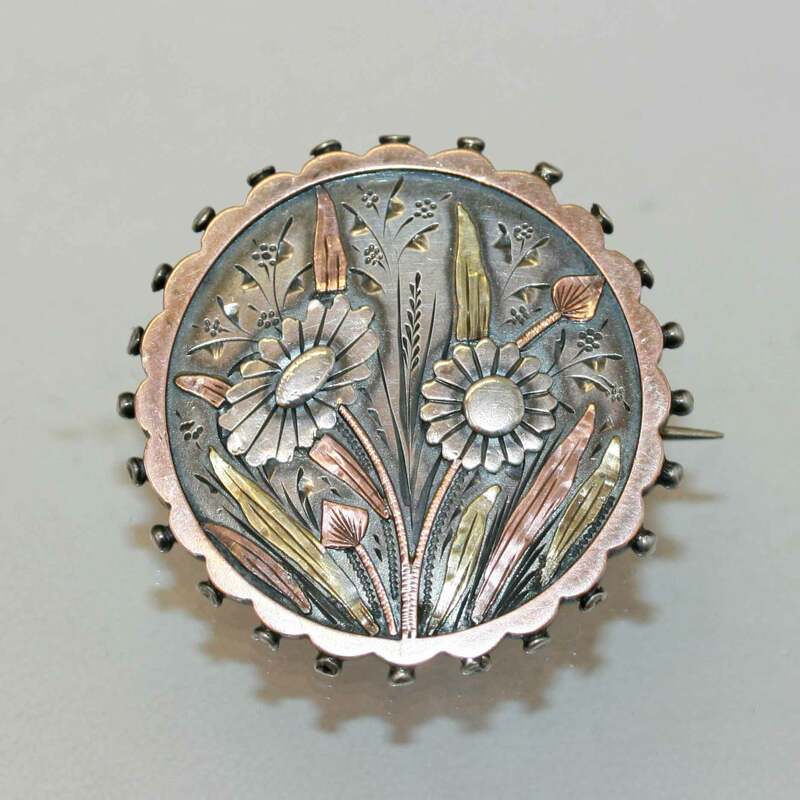 From the Victorian era of 1881, this wonderful brooch has taken many influences of the art from Japan. Made in sterling silver, and highlighted with rose and green gold, the style is so natural in design. On the reverse is something not often seen in jewellery which is a registration mark, which denoted the age of the piece – in this case it was made in May 7th, 1881. The brooch measures 3.8cm in diameter, and with the look and style, this is sure to be worn with pride.